At first glance, I would have thought this was a satirical book cover from The Onion, what with its Hollywood-gorgeous model, the title almost looks like it's not real words and devoid of meaning, the empty claim of being a "New York Times Bestselling Author" — but, no, this is the real deal. Amish romance novels are a thing, and a big thing at that. It goes to show that having a devoted and book-hungry subgenre will do an author good, and this genre wins because of its cross-genre appeal. Both the Amish themselves and Evangelical Christians love the books for their strict adherence to morals and faith, with a healthy dollop of romance on top. So, really, not much different than the "true romance" magazines from the fifties and sixties, which adhered to Hayes-code style punishment for transgressors and rewards for those true of heart, but set in an idealized world of bonnets and buggies — a callback to historical romances. 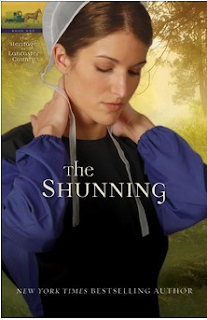 It's no wonder that Amish Romances, as a genre, have such appeal: they're cobbled together from some of the most successful aspects of romance fiction from the past fifty years.